Future of the Automotive Industry: What's Driving It? Strati, the world's first 3D-printed car. Courtesy Local Motors. Little-known fact: Ransom Olds (as in Oldsmobile) actually patented the assembly-line concept and delivered the first mass-manufactured automobile. 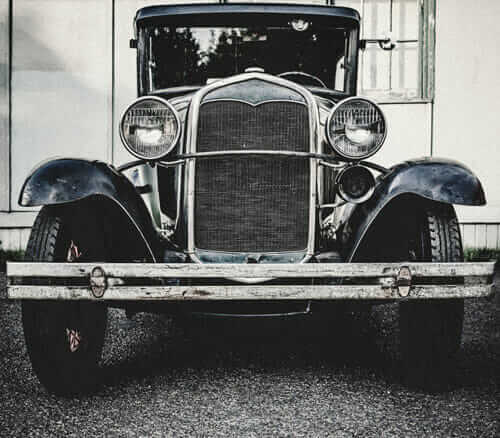 But when Henry Ford and his team revolutionized the assembly line with the addition of a conveyer belt a little over 10 years later, an affordable car was suddenly within reach of most Americans for the first time. There was a necessary downside to offer this product accessibility, though. Ford’s new approach to mass manufacturing and its cost efficiencies left room for only a one-size-fits-all approach. The Model T was for everyone, but Ford Motor Company made all the design decisions—right down to the color. Black, black, or…black? Fast-forward 100 years and enter a company called Local Motors. 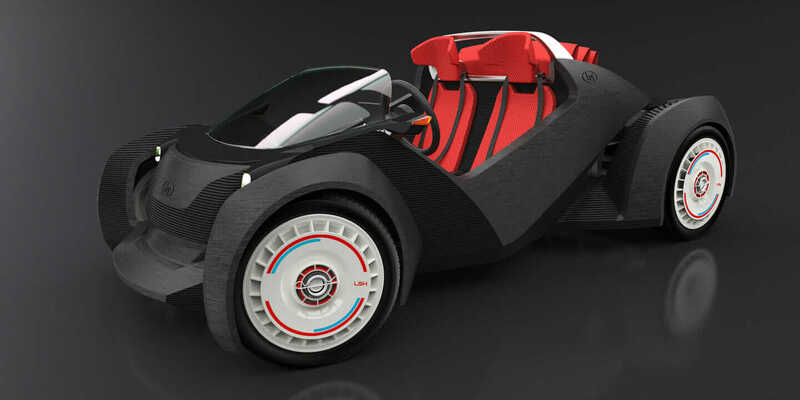 It just unveiled a 3D-printed electric car—the Strati—for which people from all over the world submitted their design ideas. With 40,000 users strong and a massive number of new ideas crowdsourced daily, the company has taken an unheralded open approach to vehicle design and manufacturing. This is just the beginning for the future of the automotive industry. These kinds of changes are impacting industries across the board. The relationships between product designers, manufacturers, and consumers are becoming incredibly intertwined. Views on intellectual property (IP) and innovation are evolving, as well. There will soon be the emergence of a “supercomputer for everyone” (more on that in a minute). And the way things are manufactured—like Local Motors’ use of 3D printers and microfactories—is defining an entire landscape shift. Industries—especially automotive—are shifting into whole new gears. Patents and IP will remain important components to society. But the growth of the open-source movement shows how community-driven development can spur even more innovation. Walled corporate gardens of research and development are beginning to wither. 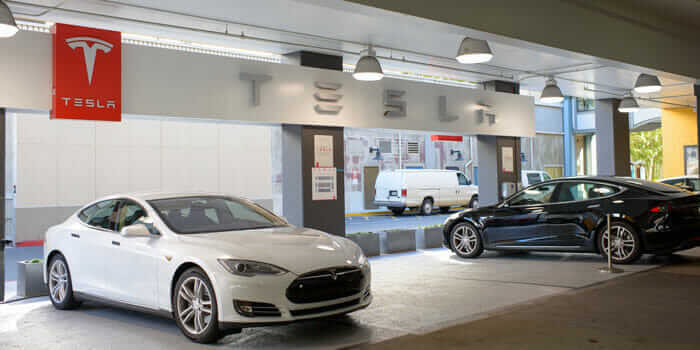 Last summer, Elon Musk announced that all patents for Tesla technology would be freely available to use and, hopefully, spur even more electric vehicle (EV) innovation. With that move, the doors have been blown wide open. A modern-day Henry Ford can now take on patent-free EV innovation. In the near future, any designer or engineer with a good idea will be able to review multiple, alternate versions of their idea (some suggested by the computer itself), and make the right design decision much earlier than ever before. Will it work or not? Can I manufacture it? Will it last as long as it needs to? No more question marks. You’ll know the answer to these questions ahead of time. Wait a minute: How will that work exactly, you ask? Everyone will have a “supercomputer,” even if it’s just your laptop. Seriously. The ultimate supercomputer is not just accessing the cloud. It’s the cloud, plus an entire galaxy of information, algorithms, and human collaboration. Take something that’s seemingly simple—but in reality extremely complex—like the interior handle of a luxury car. There’s so much more to it: The aesthetic, the materials, the size, the mechanical componentry, durability factors. 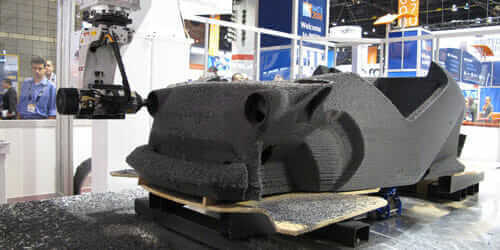 Software will soon help describe the idea in 3D without the constraints of how to manufacture it. Both the designer and manufacturer will already know ahead of time that the machine will actually work (or not) to produce the handle. This is huge. The days of retooling—a consistently major headache for both the industrial designer and mechanical engineer—will be gone. Then it goes to another level: The supercomputer will answer questions you didn’t even know to ask. It all comes down to insanely smart algorithms. What if the computer suggested, “Why don’t you try this new shape for the handle to accommodate the average size of a human hand?” You didn’t ask the question, but the computer provided an incredible solution for you. Don’t worry, this isn’t going to be a 2001: A Space Odyssey HAL type of reality. Beyond the algorithms, the human element of design and manufacturing will actually grow, too. Go ahead and crowdsource talent from wherever you need it. Global collaboration will hit new heights. Anyone can access that product expert in Australia . . . or trade partner in Singapore . . . or manufacturer in Detroit. This will all be thanks to the cloud and an entirely new information galaxy. Finally, accessibility to manufacturing is also transitioning from the need to produce something thousands of miles away. Production of a Strati. Courtesy Local Motors. “Microfactories” with research and production all under one small, local roof and “manufacturing-as-a-service” (manufacturing what you want, when you want it, and where you want it) are taking root. There will soon be a whole ecosystem connected to whatever tool you need to use and allow you to produce a product locally, quickly, and to scale. Of course, 3D printers garner a lot of headlines. But it’s deservedly so. Case in point: Local Motors 3D printed a Strati car in around 44 hours on the actual show floor at the 2015 Detroit Auto Show last month. For a reality check, do I think every car will be 3D-printed in the future? Absolutely not. The industrial use of 3D printing is the real game-changer here, and the technology is going to enable new shifts in production—just like Ford innovated on Olds’ assembly line. 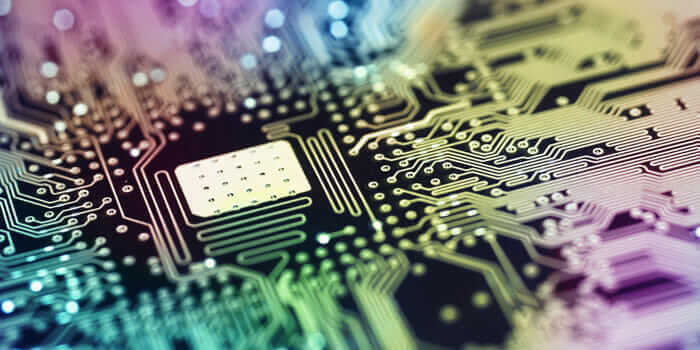 Bearing all of this in mind—from IP to the supercomputer to the “new” manufacturing—here’s the net-net: What it takes to bring a product to market is never going to be the same. Like history has shown with the evolution of the design and manufacturing of cars, it’s time to buckle up once again. It may be a bumpy ride, but the destination will be pretty incredible.